Canyon Lake Vacation Rental #13586 LakeHouseVacations.com Rent Me! 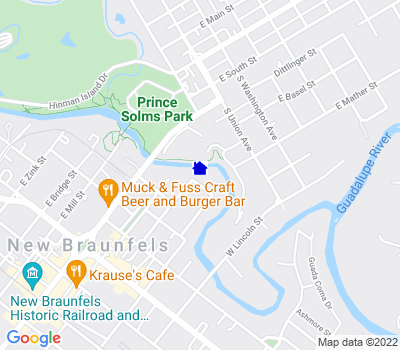 Awesome 2 bed 2 bath condo right on the river in the heart of New Braunfels! New listing!! Newly remodeled 32 with a game room! Sleeps 8. WINTER TEXAN SPECIAL! Fabulous 3 bed 2 bath! Right on the River! River Heaven 111.Fabulous 3 bed 2 bath! Right on the River! This fabulous 2 bedroom 2 bath condo has spectacular views of the the Comal River and Schlitterbahn. The master bedroom has a King size bed and a private bath. The guest bedroom offers 2 twins. Forget those uncomfortable sofa sleepers,this condo instead offers a queen size Serta Sealy never flat raised premium quality air mattress which can be put down wherever works best for you! There is a second bath located conveniently in the hall. Freshly redone kitchen with new stainless steel appliances and new granite countertops flow into the open living room. This homey common area offers wonderful views of the Comal River! All bedrooms and bathrooms come stocked with high quality linens. This condo has direct access to the River. Jump in your tube and enjoy the day. You are only allowed to have two vehicles at this property. Walk to the Tube Chute, Schlitterbahn and downtown. The closest tube outfitter to this condo is Comal River Toobs which is .2 miles away. This condo is on the second floor and does not have an elevator. Guests must be 25 years of age or older to make a reservation and must be staying at the property. Guests will be allowed 2 vehicles on premise with parking passes and 6 wristbands (max amount allowed). This condo has a maximum occupancy of 6 guests. This maximum occupancy is not to be exceeded at any time. No daytime guests allowed. We also manage unit 303 right next door if you have 12 guests these 2 condos are perfect for your group! We enjoyed the activities and walking places in New Braunfels. Very friendly people and a nice small time feel. The Comal river Is a beautiful area to rfelax." Loved the location, but found the air conditioning to be inadequate, especially at night. When we attempted to contact the management office about the issue, we got an answering service who told us management was gone for the day and that we could call back tomorrow. Also, the dishes in the cupboards were FILTHY and the eating utensils were so small they looked like they were from a child’s play set. We definitely felt that this place was not worth the money we paid and next time we will find a place with an efficient air conditioner." We have been to this group of condos many times though it was our first time in this particular condo. We ALWAYS have a great time here. The views are amazing, there’s great green space to hang out, shallow spots and stairs great for kids and just hanging in the river plus you can do a short float from one end of the property to the next which again, is great for the kiddos. This condo was very nice, clean and comfortable!" The condo was superb. Perfect view and setting. Great way to get in the river and float out. We had everything we needed there. Enjoyed this condo/apt. We had 4 adults and two kids and had enough room. Great place to stay. " Feedback from family was "Best Vacation Ever"
Also encountered problem with barking dog (3 hours) left alone in unit 305 (downstairs from us)." Took my grandkids to the river for summer vacation. PRO: The condo is a great location. CON: When we arrived at the condo it was extremely HOT inside. They should have turned down the A/C knowing that we were coming. We burned up the first night!!! Didn't get any sleep. The A/C doesn't go below 70 degrees which is ridiculous. With it being 103 outside during the day. The second night was cooler but we had to go out and buy a box fan for the master bedroom. It's really hot back there. They has a tall fan that was broken at the base and it DID NOT put out any air. They need to provide a box fan. I don't understand why they have the temp of the A/C blocked from turning it down. Your best sleep is at 67 degrees. We did not get much sleep while we were because of the A/C. They also only had one cereal bowl. Had to go out and buy bowls for the kids. They only have four plates availbale and styrofoam plates that were so cheap. The silverware looked like my grandkids play set that came with there play dishes. They could at least provide better silverware. AGAN, we had to go out and buy plastic ware. If you don't mind sleeping when it's warm at night then this is the place for you. " Our stay in this condo was for month of Jan. It was in a great location, close to downtown so we walked there many days for coffee, shopping, and farmers market! It was also easy to get around that area, close to Landa Park and Arlans small town grocery was great! The condo itself was adequate, new appliances in kitchen but the dishes were ancient, couldn't put in microwave! Had carpet in hall and bedrooms, didn't feel it was very clean, and there was no head board, felt like I was always getting my head caught up in curtains, otherwise bed was very comfortable. The staff checking in was awesome, and later when we had questions! Will use them again when we return! " Absolutely loved the property and it's location. The Management Staff is so nice and very professional. Would highly recommend and will be returning! " Great accommodations- condo was very comfortable goliad great location. Plan on going back and hoping to be a repeat renter!" Great living room and amenities. They have you stocked up with everything you could need including extra blankets and a fan. The view is fabulous and the dining area is perfect. Large bar area to prepare and serve food. Great riverside common area for relaxing. " Good location, nice to have a kitchen, living room, and 3 beds. However, A/C was not working, and the bedrooms have no ceiling fans, so sleeping was not good when it got unseasonably warm. Water heater is small, so hard to take consecutive showers. Plates arced in microwave. " Wonderful place! 3rd floors are for the young. The steps are killer. Management was great! " Came to town for a friends wedding and this place was great! Walking distance to just about everywhere we needed or wanted to go. Nice place, good well maintained grounds. The river was lovely! Had a problem with the internet and got great customer service that got it fixed pretty quickly - on the weekend too!"